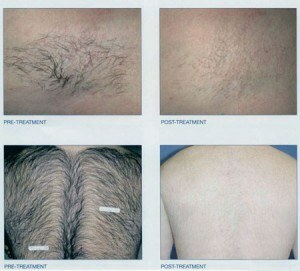 The Best & Fastest Laser Hair Removal Available. Period. New Radiance Cosmetic Center of Palm Beach is passionate about maintaining our position at the forefront of the most advanced technology in cosmetics, and laser hair removal is no exception. We have continued that tradition by acquiring the 2015 Palomar Vectus™, the new standard for excellence in the field of laser hair removal. So fast and effective that what used to take 1 hour now takes 10 minutes! Evenly Distributed Laser Energy prevents hot spots – No more Burns! Thi is a $129,000. , 4500 Watt Laser! It is NOT a $300 3 watt “toys” such as Tria, No!No! & others! The Palomar Vectus was designed specifically for laser hair removal significantly improving upon the deficiencies of old fashioned Laser hair removal devices. Today, lasers are available from China for $300 and up. In fact you can even buy one that looks like this for $5,000. Why did we buy a $129,000 Palomar Vectus? 1). 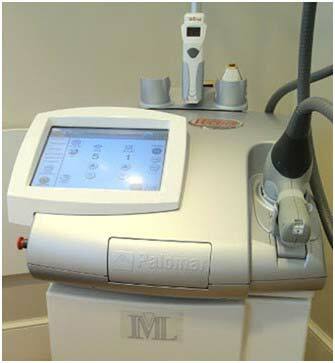 Safety- Did you know that the number one malpractice insurance case today from lasers is laser hair removal burns? The “spot size” or treatment area for the device is many times larger than other lasers and the laser fires much faster. This larger area and faster firing allows for removal on parts of the body with a significant volume of hair — such as the back, the legs, or the chest — to be completed in far less time. For more precision and smaller regions, the Vectus also has the option to to use a ½” x ½” spot size which also fires many times faster than old fashioned less powerful machines. Vectus vs. At-Home Lasers. Don’t kid yourself into buying a Toy! The Vectus’s powerful laser specially designed for professional hair removal removes over 93% of the hair, resulting in almost no regrowth in patients. Compare this with …. at-home laser products like Tria, or No!No! and other below and you will see why we can truthfully call them toys. When the cost and time are factored, Vectus is 75% more cost-effective than its leading competitor. Which would you trust: a $129,000 professional-grade 4500 Watt laser or a $300 – $500 infomercial 3-Watt toy? The Skintel melanin reader can even detect pigment that may not seen by the naked eye, such as a developing tan due to recent sun exposure. Without this device, laser settings must be adjusted based on patient history and visual inspection of the skin. Skintel represents an added safety and efficacy benefit for our patients, especially for laser hair removal and skin rejuvenation. Why Use Laser Hair Removal? Improved Self-Confidence – Gone is the fear to show more skin! 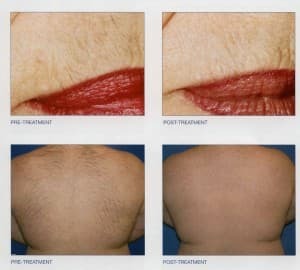 Look Great – Hair removal by laser gets rid of uncomfortable in-between and grow-in stages. Save Money – In the long run, laser hair removal costs less than continued waxing, electrolysis and other hair removal methods. 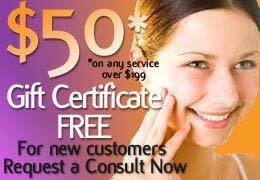 Save Time – Eliminate the daily or monthly hair removal routine. Speed – The laser can treat an area approximately the size of a quarter every second.